This template of a full service restaurant is best showcased on a digital screen and placed at the entrance of the restaurant and indoors. Advancement in software technology today has enabled restaurants several benefits which include better customer engagement , remote control operations, better logistics & inventory control, among others. 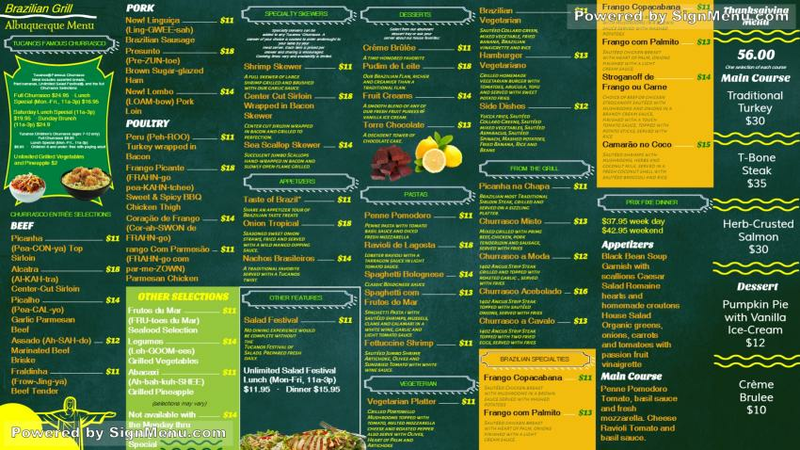 This template provides a benchmark for your actual menu board and is ready for download and use.